Diabetic Retinopathy is a disease that involves damage to the blood vessels in the retina. 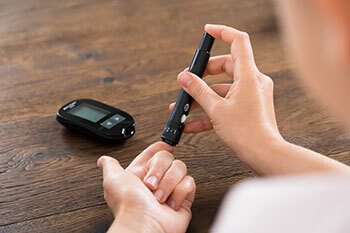 People with any type of Diabetes are at risk for this condition, and the most common cause is from uncontrolled diabetes over a long period of time. Regular dilated eye examinations are the only certain way to know if you have retinopathy. Timely diagnosis of retinopathy is also the best way to insure effective treatment to minimize vision loss. Treatment for diabetic retinopathy is often very effective in preventing, delaying, or reducing vision loss. It is important to remember that diabetes is manageable but not curable. People who have been diagnosed with diabetic retinopathy need to be monitored frequently by an eye doctor to check for new pathology. Many people with diabetic retinopathy need to be treated more than once if their condition worsens. The earlier diabetic retinopathy is detected, the more we are able to help our patients. There are two types of diabetic retinopathy. Nonproliferative diabetic retinopathy develops first, where small microaneurysms form in the retinal blood vessels. These can leak and may cause retinal edema (swelling). Proliferative diabetic retinopathy is a more advanced and severe form, where abnormal vessels can grow on the surface of the retina and bleed. Many times, diabetic retinopathy has no symptoms until the damage to your eyes is severe. Periodic follow-up examinations are necessary to track the progression of retinopathy and the response to any treatment. Tight control of your blood sugar is always important. This is true even if you have been treated for diabetic retinopathy and your eyes are stable. In fact, good blood sugar control is especially important to help keep retinopathy from progressing. Controlling blood sugar alone, unfortunately, does not reverse damage that has already been done or completely eliminate the chance diabetic retinopathywill occur or progress. Therefore, regular dilated eye exams to monitor for vision threatening forms of diabetic retinopathy is very important. If you have vision threatening forms of diabetic retinopathy, it is very important to proceed with treatment and maintain recommended follow up to reduce your risk of permanent vision loss. If fluid leaks into the macula (which is the sensitive central part of the retina used to see fine details) vision may become very blurry. This is called macular edema, and is one of the most common causes of vision loss in diabetics. Some patients with diabetic retinopathy can develop macular edema. Macular edema is swelling in the macula (the sensitive central part of the retina used to see fine detail). This swelling (fluid build up) can cause the vision to become very blurry, however in earlier stages, the vision can be normal. Macular disease is the most common reason patients with diabetic retinopathy lose vision. 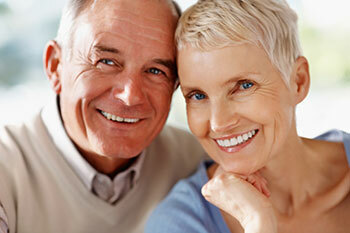 Fortunately, prompt treatment significantly reduces the risk of vision loss. The goal of treatment is to reduce the swelling or fluid build up in the macula. Common treatments include laser or injections of medicines in or around the eye (the eye is numbed prior to these treatments, so typically there is minimal, if any, discomfort). As diabetic damage to blood vessels in the eye progresses it can enter an advanced or Proliferative stage. This happens because diabetic damage to blood vessels prevents enough oxygen from reaching the retina. The lack of oxygen in the retina causes fragile new blood vessels to grow along the retina or into the clear gel-like substance (vitreous) that fills the eye. Without treatment, these abnormal vessels can bleed, cloud the vision or destroy the retina. They can also pull on the retina leading to retinal detachment. Treatment is typically with laser. Certain complications from Proliferative diabetic retinopathy can require complications from Proliferative diabetic retinopathy can require operating room surgery with a retinal specialist. 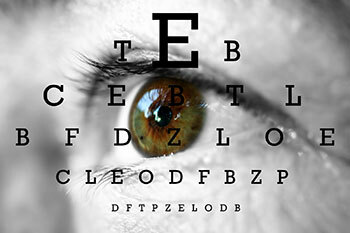 If caught early enough, treatment significantly reduces the chance of permanent vision loss.